Try something new! Enjoy a food and wine pairing featuring Thai Cuisine from Sandee’s Thai Fusion in Janesville and Timber Hill Wines! Dinner will consist of four courses to be paired with four different kinds of wine and will be finished with a truffle and port wine pairing for dessert. Avocado Rolls : Avocado, cream cheese, onions and cilantro server with sweet chilli sauce. 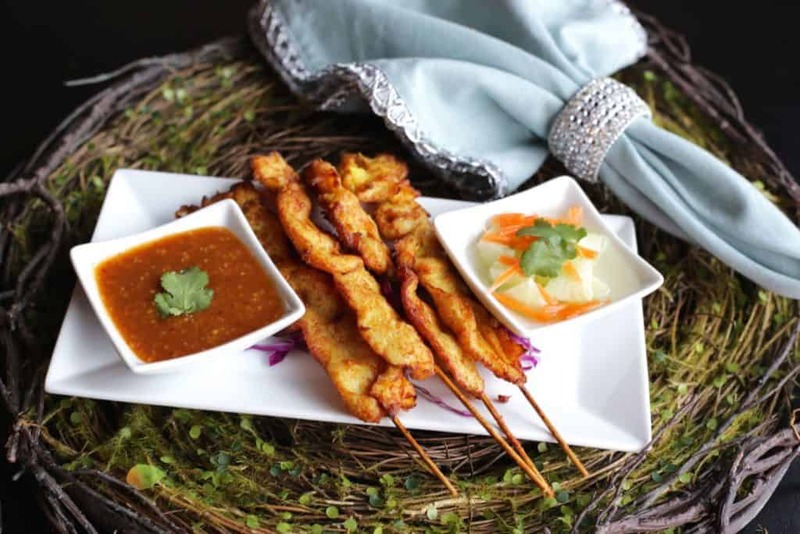 Chicken Stay: Chicken on the skewer serve with peanut sauce and cucumber. Thai Sweet and Sour: Stir fried with onions, scallions, colorful bell pepper, tomatoes and pine apples in our sweet and sour sauce. Click here to get your ticket now!